Of Mother and Daughter for soprano, violin, and harp recording session at Robert Irving’s studio in Los Angeles, August 13, 2013. Guillaume Sutre (and his daughter), Drew Schnurr, Kyunghee Kim-Sutre, Jamie Chamberlin, and Richard Sparks. 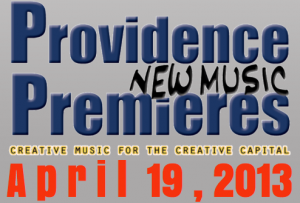 7 AGES: Of Mother and Daughter premieres at Providence New Music Premieres in Providence, RI. 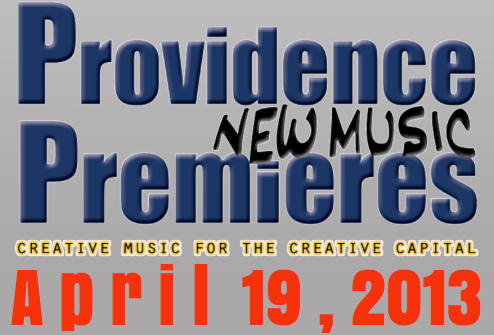 Paul Chihara has had a long and distinguished career as a composer for film and concert stage. He is currently a Professor of Composition in the UCLA School of Music and Chair of the Visual Media Program. 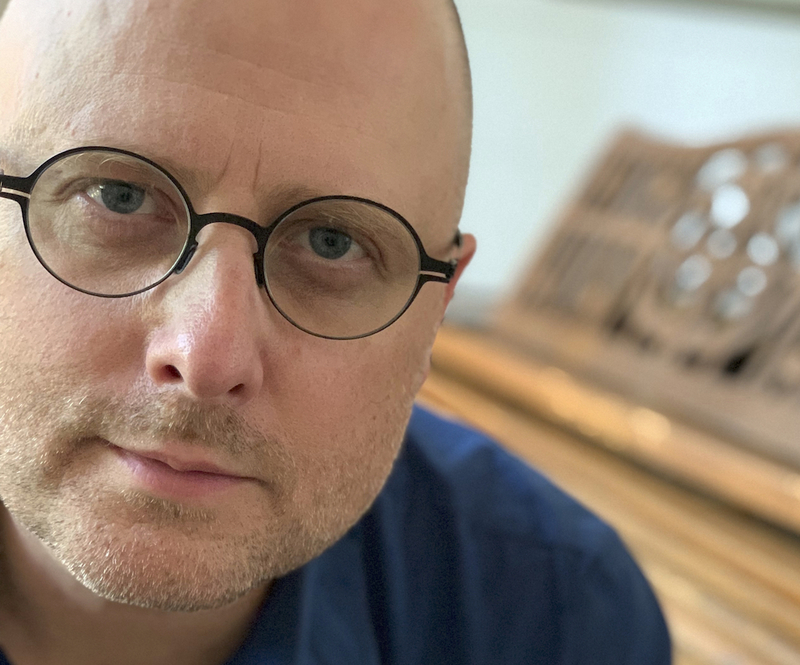 In this video interview I sit down with him to learn more about his life, garnish some advice, and to get his ideas about music in the 21st century. Recorded at UCLA on November 11, 2010. Close Encounters of the Third Kind (1977) written and directed by Steven Spielberg is a classic film about first contact with a visiting alien race. The main character in the film, Roy Neary (played by Richard Dreyfuss), is an electrical line worker who after an alien encounter becomes obsessed with a series of mentally imprinted images and sounds. These images and sounds help guide him and other individuals to a secret location where a large delegation extraterrestrials will dramatically encounter the human race for the first time. First contact! Music and sound play a very important role in the film. The music score is by the great John Williams. 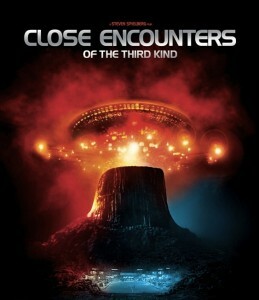 Close Encounters of the Third Kind was Williams’ second film with Spielberg (the first being Jaws in 1975), and became among the first of many collaborations between the composer and director. 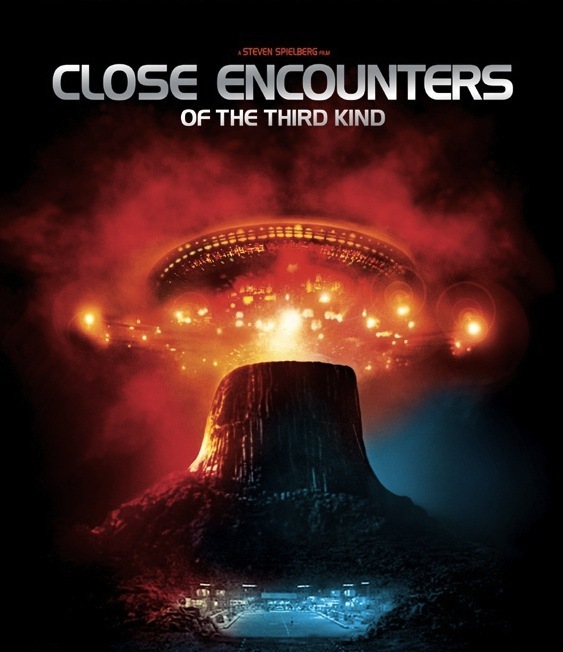 After their very successful creative collaboration on Jaws, Spielberg and Williams worked closely on the early creative development of Close Encounters of the Third Kind, during it’s conception. Elements of the music score were developed at the same time as the script and specifically integrated into the film’s structure, making them active story levers in the plot line. 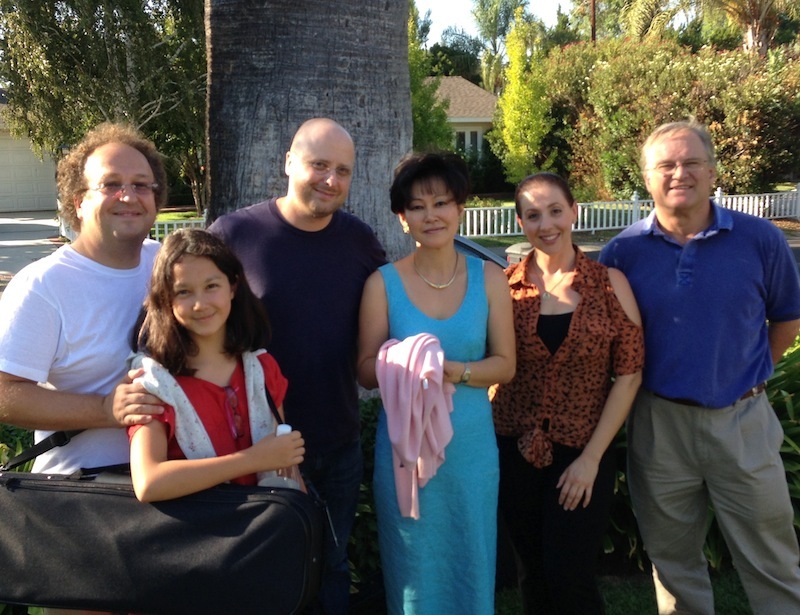 IN MEDIAS RES for Clarinet, Cello, and Amplified Guitar was premiered at UCLA Schoenberg Auditorium on May 9, 2012. The composition in five movements, each one is inspired by a sculpture by the great artist Rodin. I love the movement in Rodin’s work. It may seem strange to describe statues as having “movement,” but I think it applies. 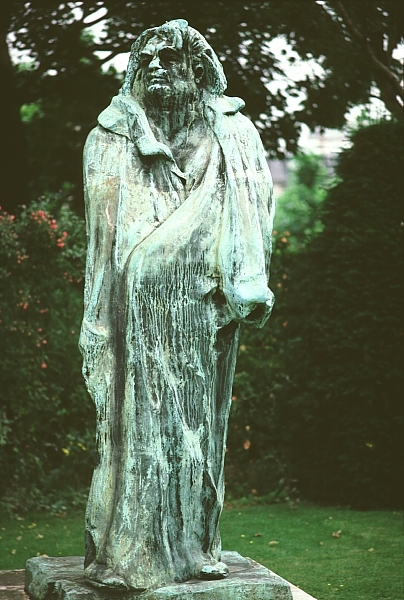 Rodin’s works seem alive to me – reaching, breathing, groaning, and also in a state of suspended life. It is this feeling that inspires the music. It also inspires the title for the piece, which is a Latin expression meaning “…into the middle of things.” The phrase IN MEDIAS RES denotes a Greek literary technique where a dramatic tale is told starting not from the beginning, but rather from the middle or end of a story. This is just as Rodin’s statues seem to me. They are frozen in time, but alive in the midst of their own narratives. This piece was a commission by clarinetist Phil O’Connor, and is dedicated to him with sincere gratitude for his friendship and inspiring musical collaboration. 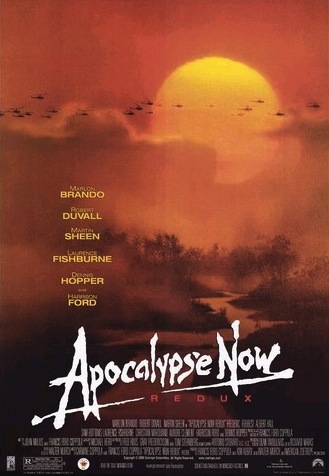 Apocalypse Now (1979) directed by Francis Ford Coppola is considered by many one of the greatest films in history. It’s a story about a Vietnam War Captain (played by a young Martin Sheen) who is sent deep into Cambodia to assassinate an out of control renegade American Green Beret Colonel (played by Marlon Brando) who has taken over an indigenous native tribe and is reigning as a kind of cruel and murderous deity. This film has a powerful and surrealistic feeling to it. And that is due in no small part to it’s sound and music score. It was revolutionary on a number of levels. It utilized the largest team of expert electronic synthesist-composers ever assembled for a film at that time. And the overall relationship between sound and music is something that is artfully blurred throughout the film. This is somewhat more common today, but was pretty revolutionary in 1979. The film pushed industry technical sound standards as well, being the first film commercially released and advertised with stereophonic rear sound channels. Most importantly, the unique conceptual intention by Coppola and his team to use music and sound to create obscured juxtapositions of powerful moods and places helps to make this film one of the best in history. 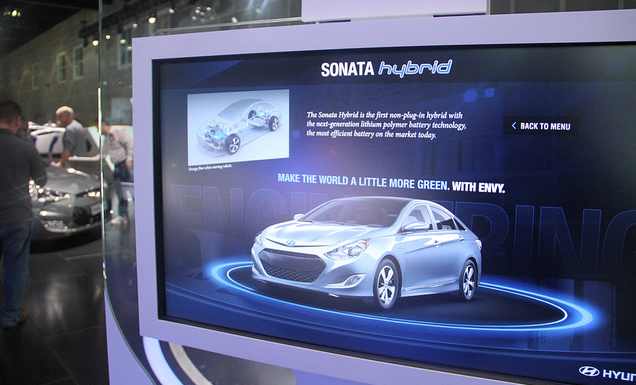 Hyundai premiered their new Sonata Hybrid at auto shows in Los Angeles and Detroit in November 2011 and January 2012. 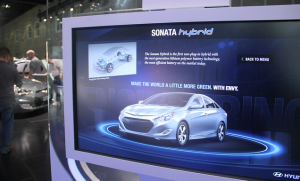 Drew Schnurr collaborated with visual design firm WILDLIFE to create the interactive “UI” presentation for Hyundai. Music and sound design elements for interactive interface composed and produced by Drew Schnurr.